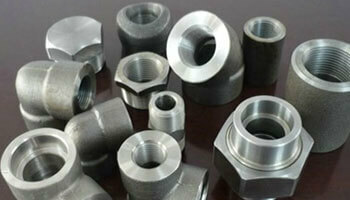 Hastelloy UNS N10665 Threaded Fittings Dealer in Ethiopia, DIN 2.4617 Socketweld Fittings in Tanzania, B2 Hastelloy Forged Elbow Exporter in Africa. Sangeeta Metal is one of the leading Manufacturer, Supplier and Exporter of Hastelloy B2 Forged Fittings (also referred as WNR 2.4617 Forged Fittings) that are actually manufactured from High Quality of Standard Raw Materials and are designed as per with national and international standards. The primary function of the Alloy B2 Forged Fittings is that of effective survival under high-temperature, high-stress service in a moderately to severely corrosive, and/or erosion prone environment. Our UNS N10665 Forged Fittings are used for many applications including pressure vessels, nuclear reactors, chemical reactors, as pipes and valves in chemical industry. We offer these Hastelloy B2 products in custom-made shapes and sizes as per the requirements given by our clients, and that too at an affordable and market leading prices. ASTM B564 Hastelloy B2 Coupling Distributor in South Africa, Hastelloy Alloy B2 Bushing in Nigeria, Alloy B2 Socket Weld Cap Supplier in India.